That was an interesting race, especially to see 1234 to Russia! I wonder what happened to Niskanen, he seemed to dissappear. A surprising fade by Niskanen, but they said he had very bad skis this time. Glacier Glide wrote: Top four spots to Russians has to hurt Norwegian pride I would think. Johaug should reclaim some of that tomorrow. 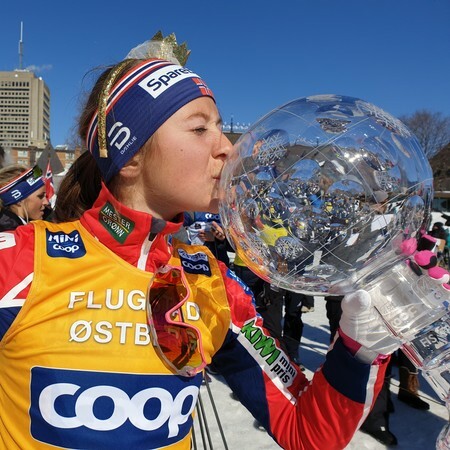 Yeah Johaug winning a hilly mass start race is probably the surest bet in sports right now, but a Russian no. 2 just shows how good that country is in classic style. Pundits say no one strides better than the Russians, but at the same time call their longer stride "old-fashioned". I guess it works when the track and wax is good and one can really kick well. Neuro wrote: A surprising fade by Niskanen, but they said he had very bad skis this time. In my estimations, Classic stride requires more strength and more endurance, so I would venture that the physiology of Russians is closer to the ideal body for this style, due to their apparently average larger frames and musculature. Perhaps also training more particularly for this event? I wonder if there's something to the Brand of skis and boots also? Niskanen and Parmakoski haven't medaled much. I think Iivo skis Rossi and Krista skis Madshus? Fischer seems to lead the medal race this year, and I wonder if it's partly due to their new technology of waxable sides of skis. Also USA had a near Hat-Trick of falls today in the Women's Sprint, with our only finalist Sadie Bjornsen narrowly avoiding an apparently sure fall on all that slushy snow. I'll bet there were some wild bets on that. Both Diggins and Campbell fell on the same hill earlier. Klæbo can win all the sprints he wants, he won't be crowned king until he can win a 50k at the WC, olympics or at least Holmenkollen. I've been quite impressed with the all-around performances of Natalya Nepryayeva and Alexander Bolshunov, both are very balanced skiers (sprint/distance, classic/skate). And they're young, 23 and 22 years old respectively. I wonder how US skiers do in running... or what happens when you compare other nation running. do run results predict ski results? Rosie Brennan ran 27:31 for 5 miles at a local road race last spring, breaking the course record of Olympic marathoner Christine Clark. Rosie is big and strong, not one of the skinny skiers, and had never done running races seriously. Erik Bjornsen ran 15:25 in a local 5K road race (with a decent hill in the second mile). He's also a big dude (180 lbs?) who doesn't really do running races. David Norris set the course record for Mt. Marathon, the most famous running race in Alaska, one of the oldest foot races in the US. It's roughly 3 miles, up and down a mountain. He beat Kilian Jornet's record there, with much faster uphill time. Scott Patterson has also won Mt. Marathon. He's also a great longer distance mountain/ultra runner with a lot of local wins. Rosie Frankowski was the fastest uphill at Mt. Marathon last summer, though she was super slow going down. Jessica Yeaton (APU as well as Aussie Olympian) won Mt. Marathon last summer. APU team alum Kikkan Randall ran 5:00 for 1600 and 10:52 for 3200 in high school, and also has won a lot of local road races and is also a Mt. Marathon winner. Basically they are really good runners, even though they don't train specifically for running. They dominate the local mountain running scene when they enter, and don't really do the road races as much. Mountain running fits in better with the ski training. 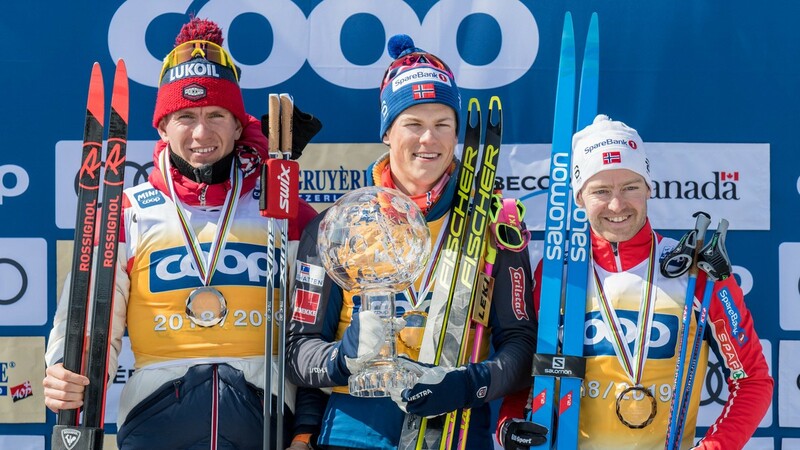 So Klæbo and Østberg won the cups this season, but it was very close in the mens with Bolshunov in the hunt until the last meters in the final race in Quebec. Now it turns out Bolshunov was unsure he could even make it to the last race as his visa to Canada was seriously delayed, only arriving the departure week. To top it off, his coach and several of the support crew did not get visas. Not sure it decided the world cup, but it could easily have done, so very unfair for sport. This politics in sport needs to end. 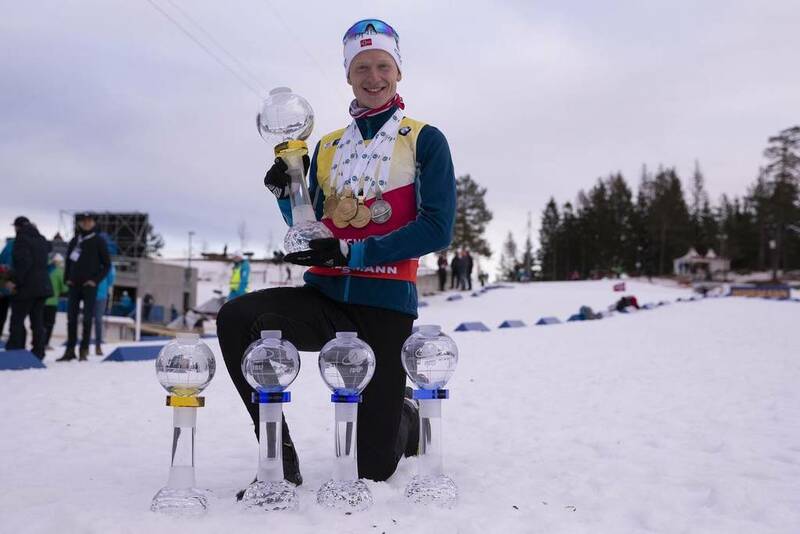 In biathlon, Thingnes Bø set a record winning all cups (overall, individual (20km), sprint, pursuit, mass start) and 16 races in a season (beating the previous 14). Dorothea Wierer of Italy was the best female biathlete of the season.